Hello! Happy Tuesday! 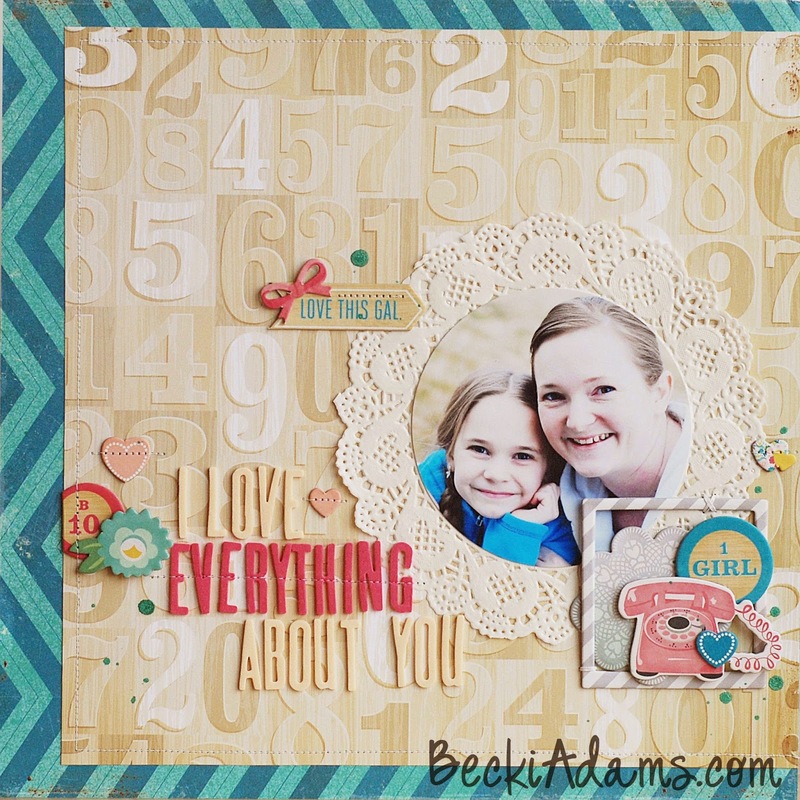 Lets talk about scrapbooking with circles, okay? Lets talk Tuesdays have been lacking around here...I'm sorry! Through the holidays I've struggled to stay on track with scrapbooking projects. I should be back to posting regularly again very soon! Today I'm just popping in with a quick post about incorporating circles into your layouts. 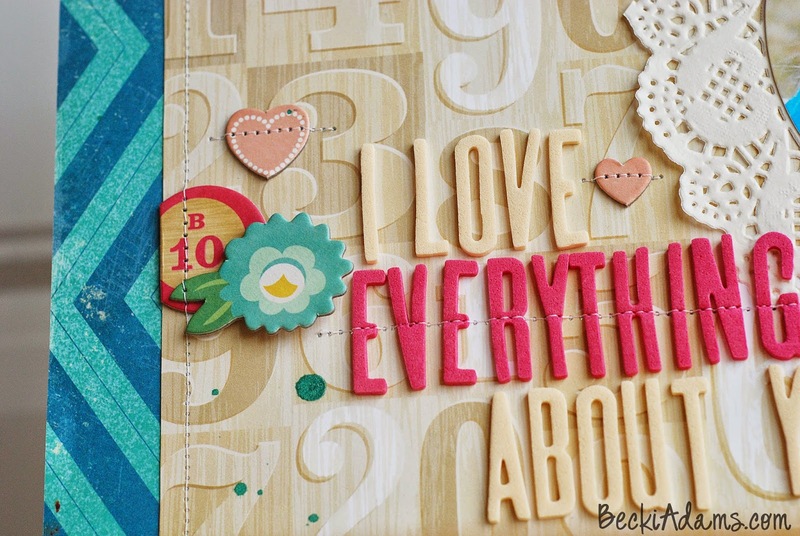 I used the * Crate Paper Oh Darling collection for most of this layout. It's an older collection but it's one that I'm hanging onto. I think it's adorable! I did something on this layout that I haven't done for a long time. I cut my photo into a circle and I actually love the results. I have a super scientific way of getting my photo to fit into the center of that doily...it's a bowl. Yep, I took the doily (I used a * Bo Bunny Medium Doily ) and found the right size of bowl that I wanted my photo. I cut out the photo and adhered it to the center of the doily. To make the layout flow and have a more cohesive feeling I made sure to add a few more circles. To keep the circle theme going without overwhelming the layout I added a few drops of spray mist. My favorite spray mists are * Heidi Swapp color shine . The glimmer that is left when these spray mists dry stole my heart the first time I saw it. I rarely use any other spray mists. I added a circular element to each of the embellishment clusters. Easy peasy! 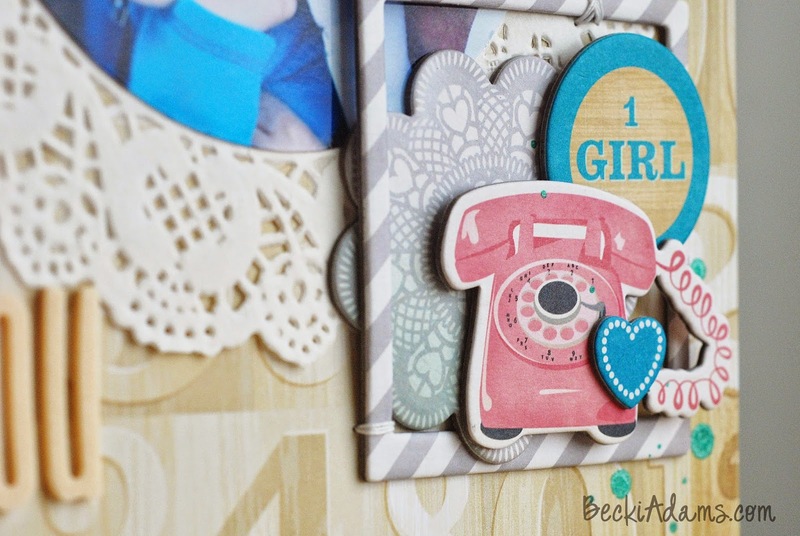 Do you find scrapbooking with circles difficult? Hopefully you found a little bit of information that will make scrapbooking with circles easier. super sweet layout. love the colors and stitched elements! These page is just beautiful. What a sweet photo of you two!